Composed by Bob Good. Ragtime, Repertoire, Wedding. Score, Set of Parts. 8 pages. Published by Surrey Dance Music (S0.416841). 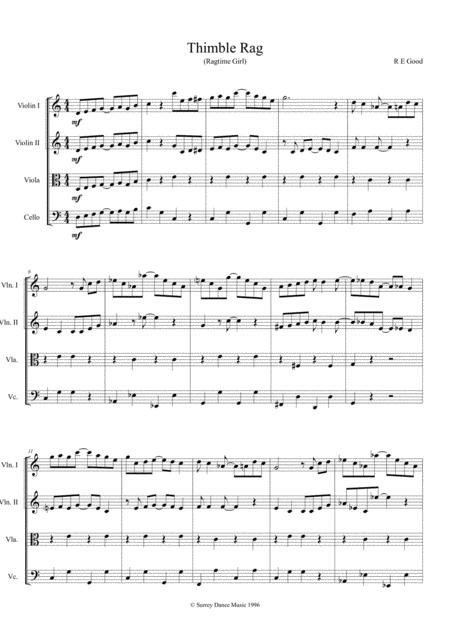 Cheerful 1½ minute rag for String Quartet. Ideal for wedding receptions and general repertoire.